Liv Aveda Salon and Spa is located in New Smyrna Beach, FL is a great salon to come for the ultimate beauty experience. Using only plant-based products from AVEDA, we offer full service hair design, advanced massage, nail services, and body therapies. Come to LIV Aveda Salon & Spa in New Smyrna Beach for the ultimate beauty experience. Our professionally trained staff provides the highest level of service. 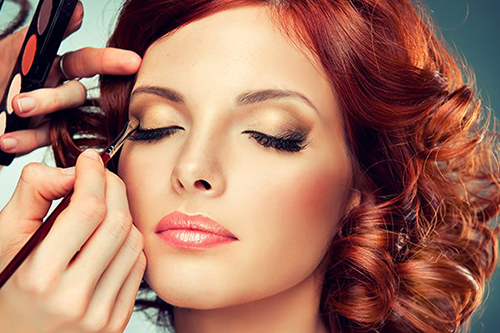 We offer full hair design and color, along with all natural manicure and spa pedicure services. At LIV Aveda Salon & Spa we share the Aveda mission statement. Face the world with a flawless complexion. MORE THAN MINERALS. LIGHT DIFFUSING TOURMALINE COMBINES WITH THE POWER OF PLANTS. Custom hair crafting based on Aveda's signature cutting techniques. Innovative new techniques and modern methods for every service, while still honoring the Earth and environment. Melissa’s passion for this industry motivates her to stay current with new and exciting fashions and trends. Through continuing education, she remains abreast of the most modern techniques. Melissa began her career as an apprentice in New York and shortly thereafter moved to Miami.. While in Miami, she trained under various global artists and alongside some of the best designers in the industry. Now with more than thirty years experience she is proud to own and operate her own aveda salon and spa. She specializes in multi dimensional hair coloring and creating a flawless custom cut for each and every client. Melissa see’s each head of hair as pieces of art. She fuses her background in architecture with her expertise in hair design to create each individual look. With seasons and fashion trends forever changing and evolving Melissa refuses to be stagnate by bringing something new to her clients style to keep up with the times. Most of her clients have followed her for 30 years and say they will continue to follow Melissa where ever she goes.